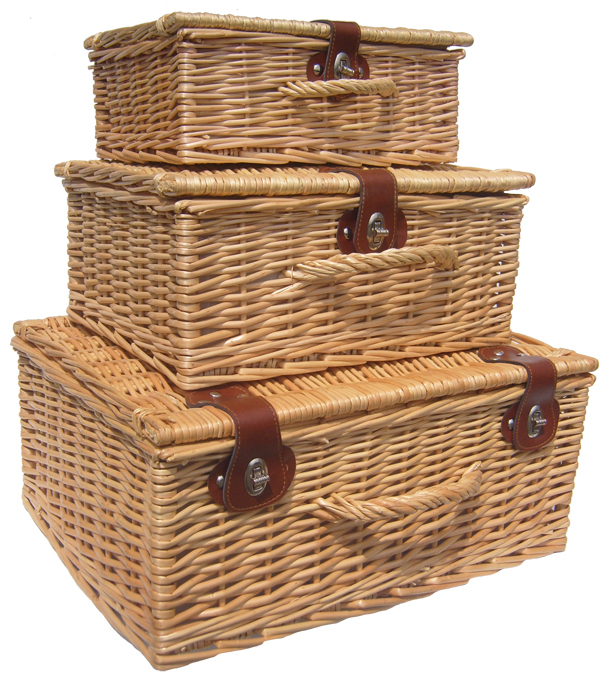 Set of 3 Premium hampers in natural wicker with gold coloured toggle closures and leather look hinges. 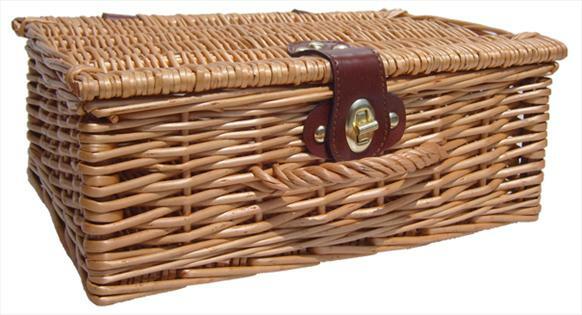 With a good strong handles these lovely baskets are both useful and practical. 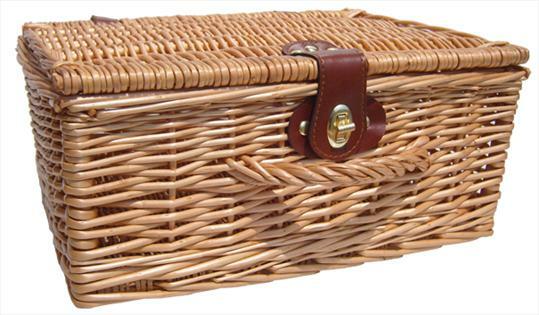 Ideal for gifts, picnics, storage and display. 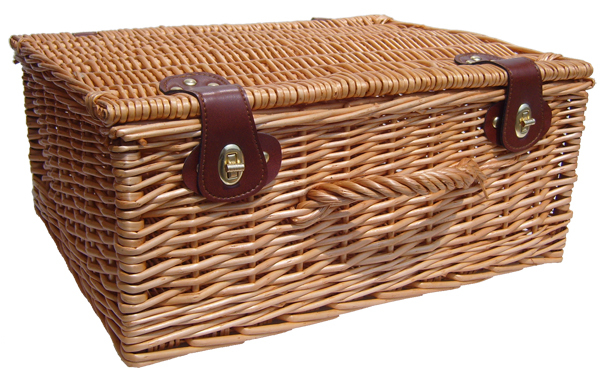 Approximate external measurements are Small: 30cm x 23cm x 13cm high, Medium: 36cm x 30cm x 16cm high, Large: 45cm x 38cm x 20cm high. Beautifully made and finished with a really attractive colouring. 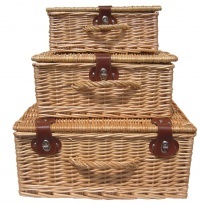 Excellent value for a set of quality hampers.